This comment was written by Alistair Phillips-Davies, CEO & Executive Director of SSE, a Scottish energy company. At a time when solutions to the many problems facing the country seem few and far between, we should be grateful that in offshore wind we have got an ‘off the shelf’ answer to the problem of how the country can decarbonise energy cost effectively whilst securing new jobs and growth for the UK economy. Later this year our Beatrice Offshore Wind Farm, the largest project in Scotland will be completed, and fully exporting low carbon electricity to the grid. It is one of many projects delivered to time and budget, which have helped bring the costs down substantially. Last year the Energy Minister Claire Perry set out an ambition of an additional 1-2GWs of offshore wind per year during the 2020s taking the UK to a total of between 20 and 30GW, meaning it could be the generation technology with the largest installed capacity in the UK. 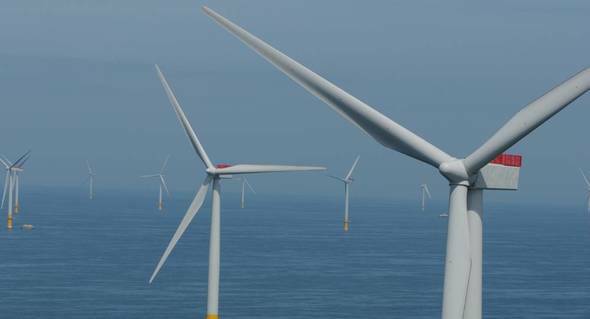 The sector has responded, and an Offshore Wind Sector Deal will be finalised later this year setting out the industry’s substantial commitments to the Industrial Strategy. The question now is whether 30GW by 2030 is ambitious enough. In the coming months, the Government will receive advice from the Committee on Climate Change on the implications of increasing its decarbonisation target from an 80% reduction in emissions by 2050 to ‘net zero’. In light of the IPCC report last year, SSE supports the adoption of a net zero target, and the implications will be a need to go faster and harder on decarbonising electricity as the driver for decarbonising heat and transport. With the news that Hitachi has pulled out of the Wylfa project, the new nuclear programme looks in real trouble and was due to come in well above the costs of offshore wind anyway. Nuclear has a role to play but even with substantial government support on offer, I doubt its ability to deliver cost effectively in the 2020s. With onshore wind unfortunately unpopular with this Government that means offshore wind will need to do even more of the ‘heavy lifting’ to keep us on track with our climate change commitments. It is time to raise our ambition with offshore wind. We should be aiming to build as many offshore wind projects as needed to help deliver decarbonisation targets in power, heat and transport, rather than going down the route of Government’s recently imposed cap on low carbon contracts regardless of how competitively projects can bid. We have a technology that brings cheap, low carbon electricity. The North Sea is a perfect deployment area for it, with great wind speeds, over such a large area that offshore wind can contribute strongly to energy security. It is supported by the public and the jobs and opportunities from development and operations are in communities that really need them. It is time to aim higher and seize the opportunity that offshore wind brings.